The following article assumes that your workspace is C:\java. Execute the following command in C:\java. Access the scott account with SQL * PLUS. Create a trigger that inserts data into a transaction table when depositing or withdrawing. The Oracle JDBC driver is not provided by the Maven repository. Therefore, you need to install the Oracle JDBC driver in your local repository and set the dependency on pom.xml. Edit pom.xml as shown below. Modify System.out.println() to stream.println(), System.out.println() to stream.println(). Copy logback.xml in Logging and paste it into resources folder. Create an applicationContext.xml in the resources folder. Edit the appliactionContext.xml file as follows. In the Project Explorer view, use the right mouse button to display the context menu. 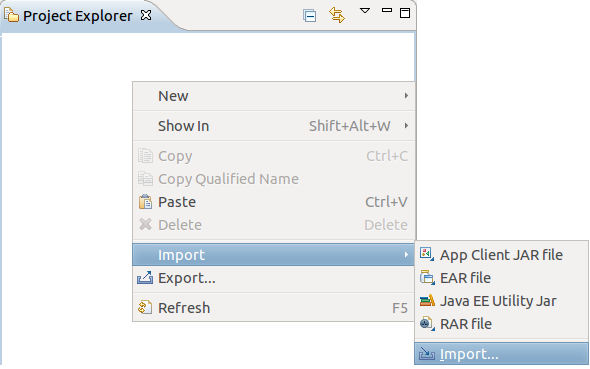 Import the JavaBank project into Eclipse as shown below. Synchronize Eclipse with pom.xml as follows. With the project selected in the Package Explorer, open the context menu with the right mouse button. 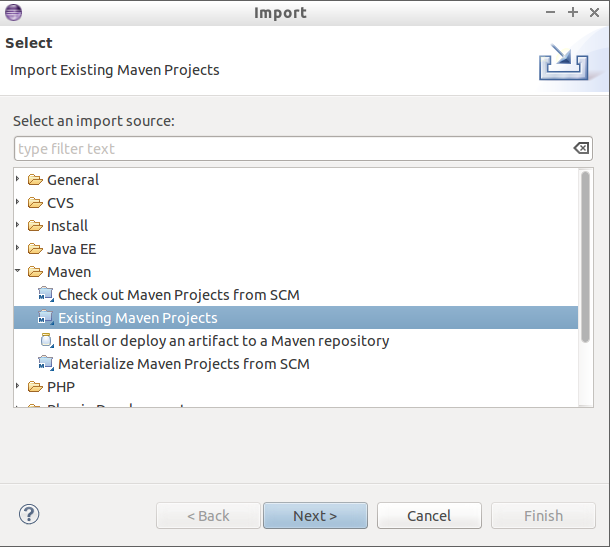 Select Maven, then Update Project Configuration. If pom.xml changes afterwards, you should synchronize with Eclipse. It is now possible to make bean settings with Java classes instead of XML files nowdays. You can write a bean configuration class that uses @Configuration and @Bean annotations. In a bean configuration class, the method name annotated with @Bean becomes an bean object. To test the bean configuration class, comment out all settings in applicationContext.xml. Modify the main method of the BankUi class as shown below.